Eisenberg Law Offices is a recognized law firm in Madison WI, has a team of specialized attorneys for personal injury, criminal defense, divorce cases. Wis. Stat. §893.55 and §893.56 Three years from injury or one year from reasonable discovery, not more than five years from act. Foreign object: One year from reasonable discovery or three years from act, whichever is later. Concealment: One year from reasonable discovery or three years from act, whichever is later. Minors under age 18: within the time frame under §893.55 or by the time that person reaches the age of 10, whichever is later. That action shall be brought by the parent, guardian or other person having custody of the minor within the time limit set forth in this section. §893.55. The limit on total noneconomic damages for each occurrence on or after April 6, 2006, shall be $750,000. §895.043. Punitive damages received by the plaintiff may not exceed twice the amount of any compensatory damages recovered by the plaintiff or $200,000, whichever is greater. §655.013. Sliding scale, not to exceed (a) Except as provided in par. (b), 33-1/3 percent of the first $1 million recovered. (b) 25 percent of the first $1 million recovered if liability is stipulated within 180 days after the date of filing of the original complaint and not later than 60 days before the first day of trial. (c) 20 percent of any amount in excess of $1 million recovered. §655.015. If an award or judgment provides for future medical expense payments in excess of $100,000, that portion of future medical expense payments in excess of an amount equal to $100,000 plus an amount sufficient to pay the costs of collection attributable to the future medical expense payments, including attorney fees reduced to present value, shall be paid into the fund. The commissioner shall develop by rule a system for managing and disbursing those moneys through payments for these expenses, which shall include a provision for the creation of a separate accounting for each claimant’s payments and for crediting each claimant’s account with a proportionate share of any interest earned by the fund, based on that account’s proportionate share of the fund. The commissioner shall promulgate a rule specifying the criteria that shall be used to determine the medical expenses related to the settlement or judgment, taking into consideration developments in the provision of health care. The payments shall be made under the system until either the account is exhausted or the patient dies. §655.27 and 655.275. 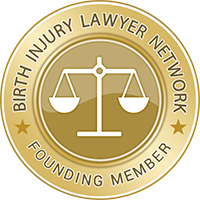 Injured Patients and Families Compensation Fund Health care providers required to pay into fund annually.